An old Southern colloquialism best describes that when a man convinces a lady much better than he deserves to wed, he has "married over his head." I am that man. Linda is a retired educator, after thirty years in the classroom and as a special education home-bound instructor. The teaching profession is better because she chose it. Linda has two brothers; Dr. Walter and Mrs. MaryEleanor Hines, and Dr. Leonard Hines. They are gifted, wonderful Christians and I am honored to be a part of their family. Linda is the patient, long-suffering editor of my writing, and even with a professional in the house, the preacher often doesn't listen. We have four children; Todd, Angela, Jennifer, and Monica. They are all born again Christians. Todd has one son, Dylan, and Pam is his wife. Angela is married to Craig Rayner, and they have two children, Sydney and Cole. Jennifer is married to Ryan Fannon, and they have one child, Rachel. Monica is single. Born on Mother's Day, May 13, 1945, in Knoxville, Tennessee, I am the second child of Ruby May (Pettigrew) and William McKinley Ensor. Mother's firstborn is Elizabeth (Ashe.) "Miss Elizabeth," as she was known to her students, taught Sunday School for many years until her retirement. She passed away on Friday, February 10,2017, after a lengthy illness and hospital stay. She is in glory now, and her passing makes the thought of Heaven ever more sweet. Younger brother Charles is pastor of Carson Island Baptist Church, Maryville, Tennessee. We share a very unique blessing: each is married to a Linda, and both are church pianists. 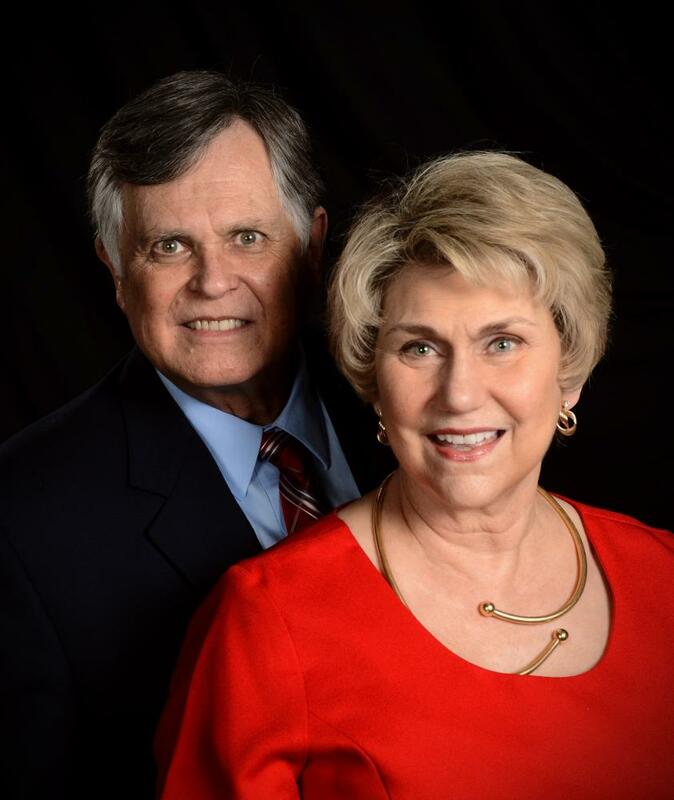 Watch Linda and her brother, Walt Hines play a piano/clarinet duet of John Newton's most beloved hymn, "Amazing Grace:"
Older brother Harold, and sister, Jo Phillips, from Dad's first wife (deceased) make up our family. It is a joy to have Jo with us at church, and even though she is the matriarch of the Ensor children, everyone thinks she is my "baby sister." Our other siblings, Betty (Wilson), Elmer and Fritz, are deceased. I grew up in church. I was saved in 1958 at New Testament Baptist Church, Knoxville, Tennessee. In 1971, my local church, Fountain Park Baptist, called me to serve as a deacon. After moving to Tekoa Baptist Church, Knoxville, the Lord, for reasons known only to Him, called me to preach in 1975, which was announced publicly in 1977. After finishing Bible school training from Thomas Road Bible Institute (now Liberty University) in 1981, I was ordained into the gospel ministry. It has been an honor to have served as a bus driver, Sunday School teacher, deacon, song leader and any other job asked of me during our years at Tekoa. I was saved in church. I was taught Bible truth in church, and then taught others, having been for many years teacher of the Sanctuary Adult Bible class. God called me to preach the gospel and I have tried to be faithful to that call. I love the church because my Lord loves the church. Serving the Lord Jesus Christ has been the sweetest privilege of my Christian life. Revival meetings demonstrated to me the need for a Bible study course for local churches that went beyond the normal Sunday School curriculum, and writing began on the first edition of what is now Doctrines and Disciplines for Bible Believers. Now in it's fourth edition, and available for study on this web site, the Bible Institute has been a tool used in my meetings, by local churches, in prison ministries and foreign missions to reach almost ten thousand people who wanted to learn more about the Word of God. To God be the glory! Now, after almost forty years of evangelistic preaching and local church revival meetings, the Lord has broadened our ministry to include this internet outreach, and writing, with some of our sermon booklets and outlines available here, and in print. My preaching ministry has expanded to include a teaching series in area local churches on the important events in Bible history. Revival preaching is still my first love, and God continues to bless the work as we faithfully go where He leads.